Putting together a 5 CD selection of music from the countless albums Anthony Phillips has released is a truly Herculean labour. My dear friend and fellow Genesis fan Steffen Gerlach has tried his hand at his feat in 2013 when he gave me a hand-selected 5 CD box for Christmas. Little did he suspect that Anthony Phillips would do the same only a year later with passionate support by Mark Powell of Esoteric Records and Jonathan Dann of Anthony's website. This time it was my dear friend and fellow Genesis fan Helmut Janisch who provided the goods asking me to write about it for the it homepage. For the second time in just a few months I find myself listening to Phillips’ sumptuous oeuvre. The first time was to prepare for the it Anthony Phillips Event in Eichenzell-Welkers in March 2014. There are worse fates than this, for this job is an honour and a pleasure for me. Though I do not like everything good old Ant has released through the ages, but I enjoy some 80 to 90 percent of his output. Now let us begin, for what else could you be doing in the winter holidays? “Daddy, let’s go toboggan!” – “Uh, I haven’t got time for that, I am listening to Anthony Phillips!” – “Tomorrow, then?” – “Naaah, I’m going to be listening to Anthony Phillips.” – “The day after tomorrow?” – “Naah, I’m going to…” My daughter has surrendered – she listens to Anthony Phillips now, too. There are these people like me who have more than 30 albums by Anthony Phillips on their record and CD shelves that are filled to the bursting point. 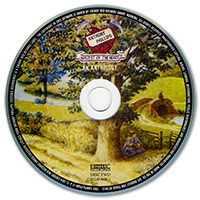 Though describing the music on the Harvest Of The Heart anthology means carrying Genesis CDs to The Farm in most cases I shall nevertheless endeavour to do so. Those ten pieces (four of them for keyboards, the other six for guitar) that have not been released before are described soon enough. It seems far more interesting to assess which other pieces have been or have not been chosen. Some albums are represented in force (e.g. The Geese & The Ghost, Sides, Wildlife, Seventh Heaven), others perhaps not enough (Private Parts & Pieces III – Antiques, Private Parts & Pieces V – Twelve, Private Parts & Pieces X – Soirée, Missing Links vol. Four – Pathways & Promenades). Still others are completely left out, such as Missing Links Volume 1 -– Fingerpainting, Missing Links Volume Three - Time & Tide, The Archive Collection Volume II, Ahead Of The Field. Whether the 1984 reissue bonus track Poly Piece had to be given more than 16 minutes space is anyone’s guess. The truth of the matter lies in the ears of the listener. Before we begin to find flies in the ointment let us praise Mark Powell and Jonathan Dann who have created a fabulous and lovingly made compilation. Jonathan Dann has written half a book for the booklet telling the life and music of Ant with many new and hardly known facets. Kudos for that! In an interview with Hit Channel Ant spoke about the genesis of Harvest Of The Heart – An Anthology: "It was Mark Powell’s idea, not mine. […] It is quite common when you have a record company that they want to do a retrospective. But I didn’t think they could do as many as 5 CDs. That surprised me. […] It is really Jonathan Dann, who runs my website, and also Mark Powell of Esoteric who made the decision. I only picked two tunes. They were very kind. […] I had a look at it, and it was very difficult to choose this music from rock era, more classical era and more new age era. I didn’t have any idea how to choose it." Chronology proved tricky. Which criteria should you use? The date of composition? The date or period during which a piece was recorded? The day of release? Or just do away with chronological order and decide purely on musical considerations so that the pieces on one CD do not clash with each other? There are, it must be said, only traces of a concept visible in Harvest Of The Heart. Well, so be it. Anthony Phillips is not the best known musician on this planet. He may well be ranking behind Ray Wilson even in the Genesis family. This is for several reasons. One, he does not play live. Two, he has never had a major commercial success. Still, Ant has found his niche and he has a faithful audience (including yours truly) who regularly buy his released and enjoy his music even though it may not all leaves me in raptures. For my musical life, the Anthony Phillips Event that took place in Welkers, Germany, on March 22 and 23, 2014 was a definite highpoint. I got to go on stage with my friend Steffen Gerlach in front of Ant, one of the founders of my musical heroes GENESIS (!) and play some of his songs. Surreal. Terrific! The first night I could barely hold my guitar, I was so excited, the second night was a pleasure. When Ant greeted me with a friendly “Ah, The Knife is here!” I could have gone. What other accolades could one wish for? … perhaps Ant remembers “those two dudes” when he listens to The Knife or Golden Bodies. This experience has brought me much closer to Ant and his music. I found him to be a very friendly, pleasantly modest man without any airs and graces – and I can only wish him and us, his audience, that he may live to an old age and treat us to many more Private Parts & Archived Missing Links Pieces. F Sharp refers to a particular tuning of the guitar. A worthy opener played by Ant and Mike Rutherford, for it proves that, without Ant, there would have been no Genesis classic The Musical Box on Nursery Cryme. Why did messieurs Banks, Collins, Gabriel, Hackett & Rutherford not mention that on the album? A good question for an interview. F Sharp is the oldest recording we get to hear on Harvest Of The Heart – An Anthology. Nick Deriso actually asked Ant about F Sharp in December 2012: "Does it irk you that you never received any album credit [for the Musical Box motive on Nursery Cryme]?" Ant: "No, it was only a small bit or two – and the guys did all the hard slogging on the road, from which I profited whilst sitting at home." In the aforementioned Goldmine interview Ant mentions F Sharp again: "Mike Rutherford and I were doing our own acoustic-based thing in 1969. Lots of 12-string pieces and sweet, lyrical songs … most [of which] have now seen the light of day. That piece [F Sharp] was just a very basic 12-string sequence of Mike’s, to which I added an upper part, and then we dived off into that rhythmic bit and then the later sequence with the nice tune. All very inchoate at that stage but great fun." The story of this famous song and its different versions is well-known and needs not be repeated to the Genesis fans. Ant: "This is a classical guitar solo and is taken from a massive, straggly piece of the same name (deleted before available). It is rather a curiosity item in that it contains a snippet of an old unrecorded Genesis song and also themes from the absent movement of Flamingo [from the first Private Parts & Pieces album]." One day I am going to make myself a compilation of all of Phillips’ “backwards” pieces, listen to it and wonder what I am doing. This song, the finale of Sleepfall: The Geese Fly West could have been left off; after all, geese cannot fly backwards, though hummingbirds can. Since it is so short, it does not matter much either way. 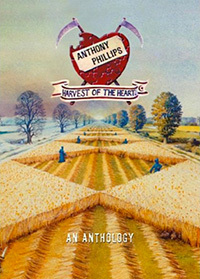 Perhaps it simply must not be left out on Harvest Of The Heart – An Anthology, being the very first piece on Anthony Phillips’ very first album. Put The Geese & The Ghost into the CD player, set it to Which Way The Wind Blows, press repeat and listen to it over and over and over again. What a great song! ● Written immediately after Ant left Genesis in 1970, recorded between October 1974 and Summer 1975. 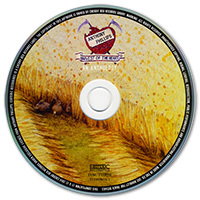 Harvest Of The Heart – An Anthology sports the remastered and (thanks to Jonathan Dann) re-completed version of the 2008 rerelease. Pop The Geese & The Ghost into the CD player, set it to God If I Saw Her Now, press repeat and listen to it over and over and over again. What a great song! The wonderful album Private Parts & Pieces III – Antiques, which contains music played by Ant and his friend Enrique “Quique” Berro Garcia almost only on acoustic guitars, is sadly underrepresented on Harvest Of The Heart – An Anthology. Old Wives Tale is an instrumental version of Little Leaf, a song Genesis would play now and again live when Ant was in the band. Alongside the 36 second variation of Hurlingham Site – Part II: Frozen Windows (on CD 2) it is the only piece from that album. Ant wrote music for a project that was to combine Shakespearean dialogues with rock music. The recordings were completed and are awaiting their publication to this date. The six album set of the Shakespeare project has never been completed, with the official reason given that it was too demanding. In 1980 Ant picked some of the Macbeth recordings for Private Parts & Pieces II – Back To The Pavilion and combined them into the five part Scottish Suite. Incidentally, another eight pieces from this project were published in 2004 as Scottish Suite II on Archive Collection Volume 2. The Scottish Suite is undoubtedly the highpoint of the second Private Parts & Pieces album, and so it is only fitting that it was included on Harvest Of The Heart – An Anthology in its full glory. Three pieces from Phillips’ second album bring up the rear of CD1. After a catchy We’re All As We Lie, which was released as a single at the time it is the melancholy animal rights ballad Now What (Are They Doing To My Little Friends) and Paperchase. This is quite a proper selection from Wise After The Event. Those who miss the title song may insert disc 2 of Harvest Of The Heart – An Anthology. Says Ant: "The Wise After The Event guitar riff was very much a new thing, that was the Rickenbacker big sound using a Boss Chorus pedal." This particular sound gave the piece its working title of Rick Piece. 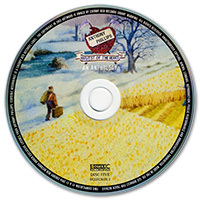 Being the high point of the second Phillips album, Wise After The Event is a well-placed opener for the second CD of Harvest Of The Heart. Five songs were chosen from Phillips’ fourth album, and they are the ones most people would have chosen. The seemingly funny title of the single release Um & Aargh deals with Ant’s anger at the record industy. In Sisters Of Remindum drummer Mike Giles and bass player John G. Perry fight with the tricky 19/13 beat (joking). Having listened to the piece for many times I am not quite sure whether it is the beat or the musicians who are winning. Song Of The Five Producers, for this was the working title of Sisters Of Remindum, had already been rehearsed for the Wise After The Event recording sessions. Genesis roadie Dale Newman sings the beautiful ballad of Bleak House in a touching fashion. "To my endless thanks Anthony let me sing it", says Dale. "I think the song is brilliantly written." We have nothing to add. Ant wrote Bleak House after he had seen a play done by the Ensemble Shared Experience which was based on Charles Dickens’ novel. If I had to have a Nightmare I would very much prefer Ant’s Nightmare. A first-rate prog rock piece crowned by Ralph Bernascone’s vocals. For this anthology it was decided to have the version of Lucy Will favoured by Ant, i.e. without the congas Morris Pert recorded later at the demand of Passport Records boss Marty Scott. “What is a Mike Rutherford song doing in an Anthony Phillips compilation?” you may wonder. This song has been a rarity. It has been previously available on CD only on the limited edition compilation It’s Only Knock And Know-all by the German Genesis Fanclub it. Compression was recorded for Mike Rutherford’s solo album Smallcreep’s Day. Not only did Ant play the keyboards for this, he also assisted Mike with the keyboard arrangements. He was therefore much more than a mere session musician who comes into the studio, plays their part and leaves again. What it most interesting about Compression is the second part that had a fair chance in 1973 of becoming a Genesis song. If history had taken a different course the clever rhythms of this pieces would be named in one line with Los Endos, Duke’s Travels and …In That Quit Earth. Wanna bet? Written in 1978, Poly Piece was a candidate for Sides. Producer Rupert Hine liked the piece, but Passport Records vetoed it as they wanted more songs. Ant considered putting Poly Piece on his 1984 album, but this did not happen either – until the re-release of 1984 where Poly Piece finally found its place as the last song on the second disc. Personally, I would not have picked Poly Piece for Harvest Of The Heart, as it takes up an unproportionate 17 minutes that could have been used for other albums that are represented scarcely or not at all. Lights On The Hill is the fourth and last part of the Arboretum Suite which should have been complete on Harvest Of The Heart. Lights On The Hill was not an instrumental in the beginning but a song from the musical Alice called Walls & Bridges. Frozen Windows (Variation 1) is a pretty but all too short variation on the second part of the Hurlingham Suite that can be found on Private Parts & Pieces III – Antiques. Prelude '84 and Anthem 198 were the first pieces Ant completed for his new album. He had borrowed the Roland CR-78 drumbox off Phil Collins and went to town on his new synthesizers. It would have been great to have a Harvest Of The Heart edit of 1984 Part One / Part Two similar to Slow Dance (see below) from these two long pieces of the 1984 album. In 1983 Ant’s record company got involved in his musical output again when they demanded that he become more commercial. The result of which were a dozen songs published on the Invisible Men album. Ant is not really happy about this release to this day, though he had audibly improved his singing and there are some excellent songs on Invisible Men. Four of these were picked for Harvest Of The Heart. One of these, The Women Were Watching, marks the end of the second disc. It shares its topic with Sting’s later classic They Dance Alone. More from the Invisible Men: Richard Scott sings Falling For Love, one of the weaker songs on the album. I Want Your Heart, Traces or the hilarious Golden Bodies (Hello Ant: “Archie!! !”) may have been the better choice. Richard Scott also sings the Ballad Of Penlee, an infinitely sad song about a lifeboat disaster on the Cornwall coast in which sixteen people lost their lives on December 19, 1981. Exocet repressed Ant’s anger about the Falklands war, which was why the song was not released in the UK at first. Cowardly …. The goodbye song Sistine belongs into the Invisible Men category, but it found its place only on Private Parts & Pieces IV – A Catch At The Tables. The album of acoustic guitars Private Parts & Pieces III – Antiques is represented with only one piece on Harvest Of The Heart, and Private Parts & Pieces V – Twelve does not fare any better though Ant used twelve times twelve strings on this one. A pity. Ant himself sings the mournful She’ll Be Waiting, a song he wrote when a friend’s wife suddenly passed on. When the song was performed on stage at the Anthony Phillips Event in Welkers, Germany, on March 22, 2014, Ant had tears in his eyes. – For the second night it was replaced with Am I Very Wrong. For Private Parts & Pieces VI – Ivory Moon Ant put away the twelve strings and turned to the 88 keys of his piano. The 1991 re-release of the albm contains a piano version Ant recorded of the classic Genesis song Let Us Now Make Love. "This was, in fact, one of the most popular Genesis songs in the early touring days. […] It was eventually dropped from the set. Apart (of course) from Peter Gabriel's idiosyncratic vocals, Mike and myself used to play 12-string guitars and Tony Banks would swap from organ to my stratocaster through a Leslie speaker for the instrumental sections. On this version, I've returned to how it was originally written ( … in September '68!) - on piano." The fourth Missing Links album is another record that is very much neglected on Harvest Of The Heart. Only the guitar piece Promenade made it onto the 5 CD compilation though there were a number of good candidates such as Sceptred Isle, Sky Dawn, Water Gardens, Night Train or Light Rain, to mention but a few. The piano album private Parts & Pieces VI – Ivory Moon suffers the same fate as Missing Links vol. four – Pathways and Promenades. Just one piece was selected from the original album. The catchy Tara’s Theme which Ant wrote for the Masquerade musical, should have been at least considered. Unlike the first Missing Links album Finger Painting, which is completely passed over on Harvest Of The Heart, Missing Links vol. Two – The Sky Road provided no less than four pieces. First of these is the dreamy Tears On A Rainy Day. Ant says: "During the period 1987- 1991, Martin Robertson and I wrote a number of pieces for saxophone and guitar, most of which have yet to see the light of day. A couple did surface on Private Parts & Pieces VIII but this is a fuller piece that was recorded just for fun. No serious thought was ever to given to releasing it until the advent of the Missing Links concept." The orchestral Exile obviously comes from the Slow Dance period, though it almost ended up on Private Parts & Pieces VIII – New England. Ant finds a metaphor for it: "As the balance of the album tilted towards the acoustic, this piece was inevitably sidelined, a lumbering giant amongst delicate minnows." Other pieces from Missing Links Volume Two – The Sky Road, Serenita and Lifeboat Suite can be found on the fourth CD of the compilation. Ant’s twelfth album Private Parts & Pieces VII – Slow Waves, Soft Stars is known for its ethereal keyboard landscapes. Much more memorable, though, are the guitar pieces, two of which have been picked here. Besides the happy Carnival and the playful melancholy of Elevenses they could have chosen Sospirando or Bubble And Squeak. Ant wrote the music for Tarka with Harry Williamson in the mid-70s. This masterpieces used to be a super-rarity for a long time because it has been released on the tiny independent label PRT Records. Later re-releases made Tarka much easier accessible. Besides the complete first movement The Anthem was chosen. At the time this was the single from the album, and Ant picked an oboe motive from the first movement and expanded on it. In 1990 Ant dug out a grand song from the earliest days of Genesis, and did a good job of it. Nina Morgenstern’s vocals at the Anthony Phillips Event in Welkers in March 2014 made the song really come into its own. Hey Ant, how about the next re-release? Slow Dance is a favourite album not just of Ant’s, but also of his fans. It is the last time on vinyl that Ant shows almost all his musical capabilities, augmented by guest musicians and an orchestra. Jonathan Dann and Simon Heyworth created a very fine edit for Harvest Of The Heart. Ant enjoyed it, so we get to enjoy this edited version which consists of 2:18 to 5:06 of Slow Dance Part One as well as 9:23 – 12:13 and 21:11-26:27 (the finale) of Slow Dance Part Two. Anthony Phillips writes unbelievably sad songs sometimes, such as Unheard Cry about an abandoned baby. The atmospheric Aubade is the opener on the original CD. Two other pieces from the album will follow later. Besides She’ll Be Waiting, Sarah Blakeley’s Evening is the only piece from Private Parts & Pieces IX – Dragonfly Dreams. A pleasant sketch, no more, no less, and Ant could make much more of it. This ninth Private Parts & Pieces album deserves more attention on Harvest Of The Heart than it gets. Old Faithful, which resembles quiet Pat Metheny songs, is missing, as are Melancholy Flower with its Satie overtones (both written with Quique Berro Garcia) or Something Blue, a slightly sad piece Ant wrote with Richard Scott. Just one piece from the tenth Private Parts & Pieces album was selected for the compilation, and it is the only one that was not specifically written for it. Fivers, The Oregon Trail, Venetian Mystery, Hope Of Ages and so forth – Private Parts & Pieces X – Soirée has so much more to offer, but 5 CDs for 34 albums are very little space, and the art of omission is a difficult one…. Fragile guitar piece La Dolorosa and Cathedral Woods, which sounds a bit like George Winston on the piano, are two more pieces from the eighth Private Parts & Pieces album that have been separated from the others for some unfathomable reason. It is a rich album that has any number of songs bound to make a selection difficult. It is worth the while to listen to the full Private Parts & Pieces VIII – New England CD again. The piano piece Last Goodbyes is represented in the Living Room Concert rendition. Wistful guitar piece Serenita is followed by the complete eight parts of the Lifeboat Suite that Ant wrote for the six-part documentary Lifeboat, a long series about the life of a lifeboat crew in Salcombe, UK. The suite also contains the music that did not end up in the documentary. Tender hopes that Ant might possible grab a guitar or sit down at the piano to play the odd piece for his fan audience at the Anthony Phillips Event in Welkers in March 2014 did not, alas, come true. So we have to fall back on the handful of live takes that Ant recorded in various living rooms and radio studios without an audience. Last Goodbyes comes originally from Private Parts & Piece VIII – New England; Collections and Sleepfall are the final pieces on his debut album The Geese & The Ghost. Apart from the last chord the live version does not differ much from the original. Differences are equally slight in Collections, if you do not count the different instruments, that is. The live piano version of Sleepfall: The Geese Fly West is most different from the original. Ant: "I first met Harry [Williamson] in the winter of '68. We occasionally jammed – sometimes on two grand pianos! […] But it wasn't until the Summer of '71 that we really spent enough time together to attempt anything substantial. […] We began experimenting with unusual tunings and often became oblivious of the world going on around us. […] Thus was born Gypsy Suite, movements I - III. […] Movement IV - more vibrant and varied than the preceding movements - was added in October '75 and the whole piece demoed soon after. […] Headstrong and determined (and probably very foolish!) we turned […] down an offer [from Virgin Records] - holding out for more money with which to finance a fuller ensemble version!" In March 1978 Ant and Harry recorded new demos of the Gypsy Suite. 17 years later this gem was taken out of the drawers, dusted of carefully by Simon Heyworth and finally released. Harvest Of The Heart features the first and third movements of the Gypsy Suite. No less than eight pieces of the Wildlife album were chosen for the Compilation. 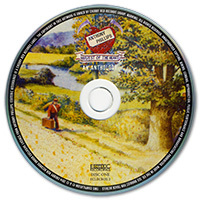 The mystical Creatures Of The Water – Opening Theme and a threatening Dungeons And Dragons: Island Of Stone bring up the rear of the penultimate disc of Harvest Of The Heart. Missing Links Volume III – Time And Tide has kind of snuck in onto this compilation with Creatures Of The Magic Water – Opening Theme, which is, effectively, Amazonas. Ant wrote about the original: "Amazonas was the opening track on the Atmosphere library CD Travelogues And Drama […] The original title was The Condor Flies and it was subsequently adapted for the Survival Special Creatures Of The Magic Water with the lead instrument changed because of official edict decreeing that panpipes were passé in T.V. Music!" At this point I would like to repeat that the complete disregard of the third Missing Links albums is utterly beyond me: I would never have done without Songoku and Schuan Journey, neither should Indio Wedding, Underwater Forest or Fiesta Del Charangos have been left out. What remains is, simply, to put together your own 5CD compilation! 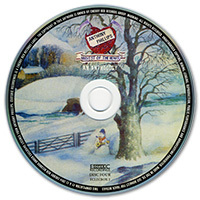 The fifth CD begins as the fourth ended, with pieces from the Wildlife sampler. Midway: Islands Of Life – Opening Theme transports you into a meditative dreamworld. Martin Robertson’s saxophone melodies enchant the mystical Jaguar: Eater Of Souls: Onza – Eater Of Souls. Shark alert is raised with Jurassic Shark – Opening Theme (2000). The death fight in Midway – Island Of Life: Fight To Death could have been stronger musically. Threatening sounds lead us into Midway – Island Of Life: From The Jaws Of Death – Touching The Face Of God before the piece moves into a gentle, melodious second half. Personally, I would not have picked Jurassic Shark – Ray’s Song, but then baby seals deserve their lullabies, too. Alternate choices from the Wildlife album could have been: Creatures Of The Magic Waters – Flooded Forest, Secrets Of The Amazon – Final Journey, Secrets Of A Norfolk Wood – Storm Breaks, Secrets Of A Norfolk Wood – Morning Call. Ant wrote music for the TV coverage of the Whitbread Around The World Yacht Race. This regatta has taken sailing ships around the world every three or four years since 1973. The programme was called Sail The World, and so is Ant’s 17th solo album. Ships will be sailing past your inner eye when you listen to I Wish This Would Never End. The title of Majestic Whales describes the content perfectly. Wildlife Flotilla, which is 22 seconds longer than on Sail The World because it does not fade out, exudes a flair of Hold On My Heart. Lonely Whales would have been another worthy contender. In 2005, Ant released on his double CD Field Day, whose beginning hail back to 2001, a staggering 61 pieces. For the first time in quite a while Ant returned to the string instruments. And he did it properly: 6 string L’arrivée, Fylde English bazouki, Bell Cittern Paul Hathaway, Mirecourt classical guitar and so forth… Ant used many guitars of his collection. White Spider, for example, was recorded on a 12-string John Marlow. For Kissing Gate he used a 6-string Brook. A previous recording of Nocturne could be heard on Private Parts & Piece II – Back To The Pavilion, and an orchestral version of it would be released on Seventh Heaven in 2012. With such a large number of many pieces it is no miracle that at least 20 of these are compilation-worthy. The 34th and most recent Phillips album Private Parts & Pieces XI – City Of Dreams offers atmospheric and meditative keyboard music. It is represented on this compilation with just one piece, the impressive King Of The Mountains. This very quiet album offers a wonderful soundtrack for dream journeys – it would merit more attention. Circle Of Light is gently played by Ant on classical guitars. The Golden Leaves Of Fall begin softly and grows to a musical highlight a la Star Trek: Voyager by Jerry Goldsmith, before it gently wafts away again. Dancing sad Courtesan is followed by the brief piano piece Speak Of Remarkable Things; I would not have chosen it. The sedate, melodious River Of Life rounds off the Seventh Heaven department. If you ask me, my choices would have been Credo In Cantus and Sojourn. Other pieces on my list would have been Shipwreck Of St Paul, which resembles Philip Glass’ Koyaanisqatsi or Grand Central in 15/8. But then I haven’t been asked. Towards the end Anthony Phillips opens his “Private Missing Archive Library Music” treasure chest and treats us to four keyboard and six guitar pieces that have not been released before. The first is minimalistic Circle Of Light, followed by Nightjar, which sounds a bit like Thomas Newman (Finding Nemo and others), one of Ant’s favourite composers. They are followed by two guitar pieces, the peaceful Slow Roller and the sad Imperium. After that we can meditate on A Simple Truth. Next are two wonderful, calm guitar pieces. Vespertine and Forget-Me-Not (as if we would, dear Ant!). The Storm Of The Windhover provides the soundtrack for a bird tossed around in the storm. Pas De Deux sounds like a wistful dance for two. In the very end Ant brings out the twelve-string guitar for the album closer, Ringer.